Looking for the best gift this Christmas? Why not offer the gift of self-confidence and skills development to a child? 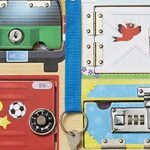 If you are one who want to give something that delivers significant development to a loved one’s life then, finding the best electric cars for toddlers may just be it. Putting a young child behind an electric car’s wheels will not only help develop their socio-emotional skills and put creative imagination in play, it also rev up one’s self-confidence via role play. With so many brands flooding the market this time of the year, these 5 bestsellers are definitely worth a look. Who doesn’t love a sleek and glamorous car? 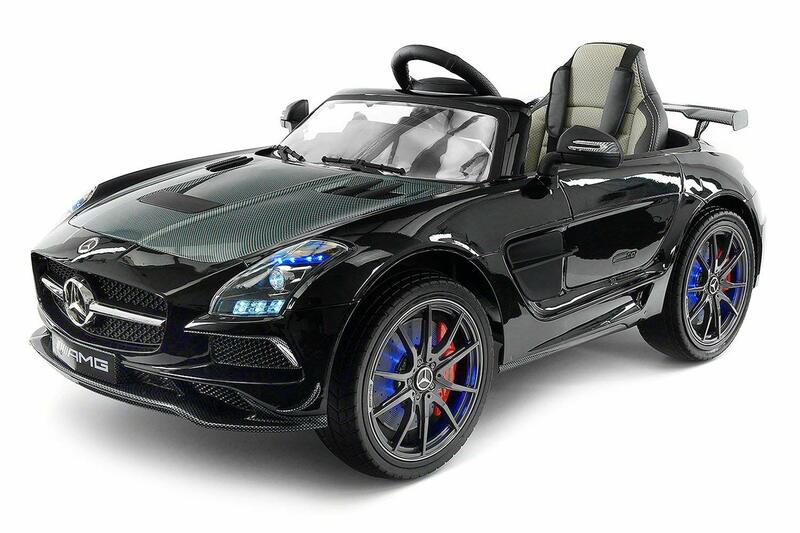 Even kids ages 2 to 5 know precisely what glitz and glam is with the Carbon Black SLS AMG Mercedes Benz Car. Think about PU leather interiors and polished durable exterior. Built with dual speed system using 2 motors with reverse and forward switch, a child will definitely have utmost fun maneuvering around with this sleek toy. The Benz also comes with real engine sounds, stroller seatbelt, built-in MP3 player, and rubber traction band for a smooth drive. It’s complemented with doors and windows that open like a realistic one, too. Want one in pink,red or white? Check out color options HERE. 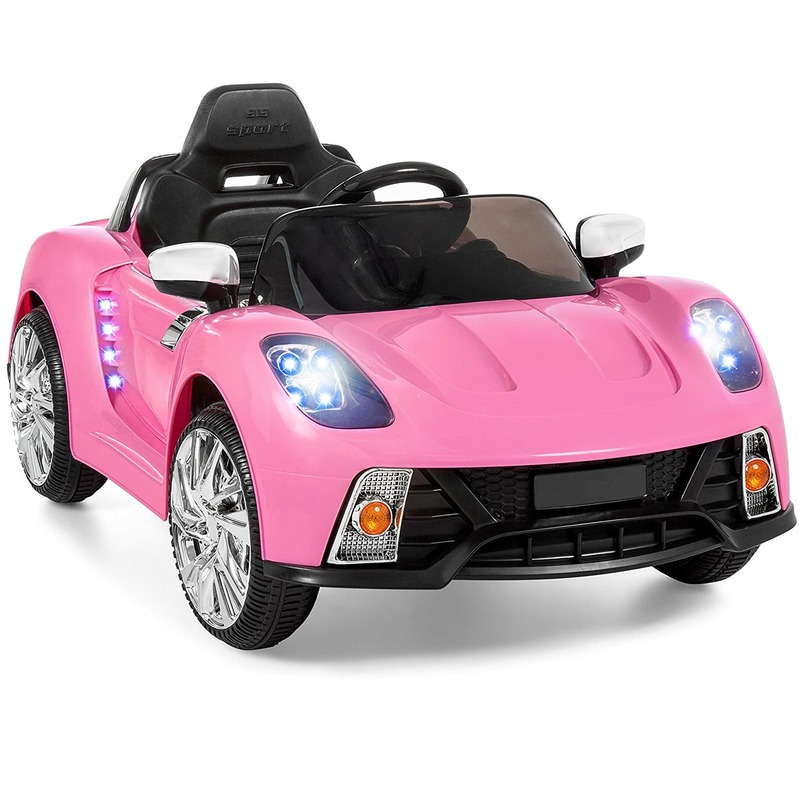 Another excellent choice is the 12V Kids Battery Powered Remote Control Electric RC Ride-On Car from Best Choice Products. 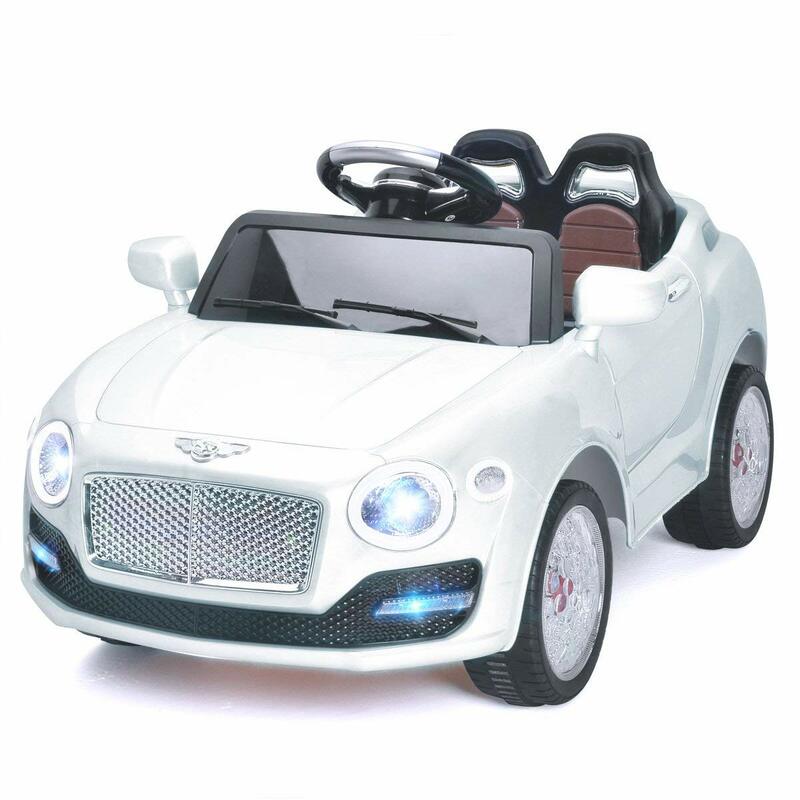 This sports car makes a sensational gift for a toddlers. It is designed with real engine and horn sounds, speed variations, integrated gear switch, and LED lights. Seatbelts are also built into the electric car for safety and sounds can be added via an AUX cord provision. Parents may also control the ride for younger kids with this cool vehicle. For colors and other model types, click HERE. 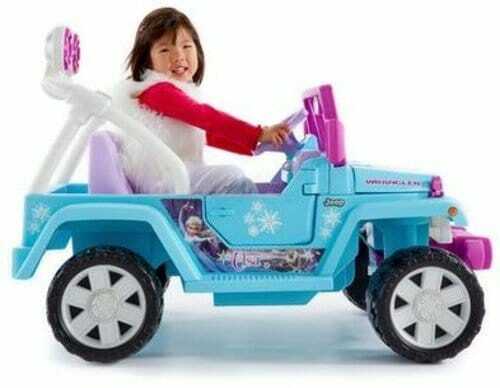 Little Ana and Elsa wannabes will definitely squeal with glee with the Power Wheels Disney Frozen Jeep Wrangler. Realistically patterned to a Jeep Wrangler but complemented with a feminine touch with graphics and colors from the movie, Frozen, this electric vehicle truly makes an excellent present for any special occasion. 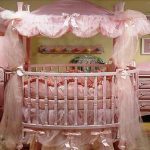 Frame is made of durable plastic and metal alloy for durability with comfy interiors as well as working doors that open and close realistically. Pretend radio blasts songs from the movie’s original soundtrack allowing a child to belt out a tune or two while driving along. 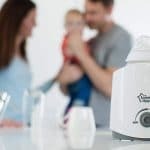 Add to that a roomy storage at the rear area and parental control for safety, and you have one safe, durable and enjoyable electric car for toddlers to enjoy. Another sleek electric sports car to consider is the Costzon Ride On Car. Still sporting both parental remote control and free ride mode complemented with longer lasting battery of up to an hour, this ride is designed for enjoyment. It also comes with multimedia functions that blast music to add more fun. At night, headlights and wheel lights make the electric car jump to life. Want it in heavenly white, daredevil red or sleek gold? Click HERE. 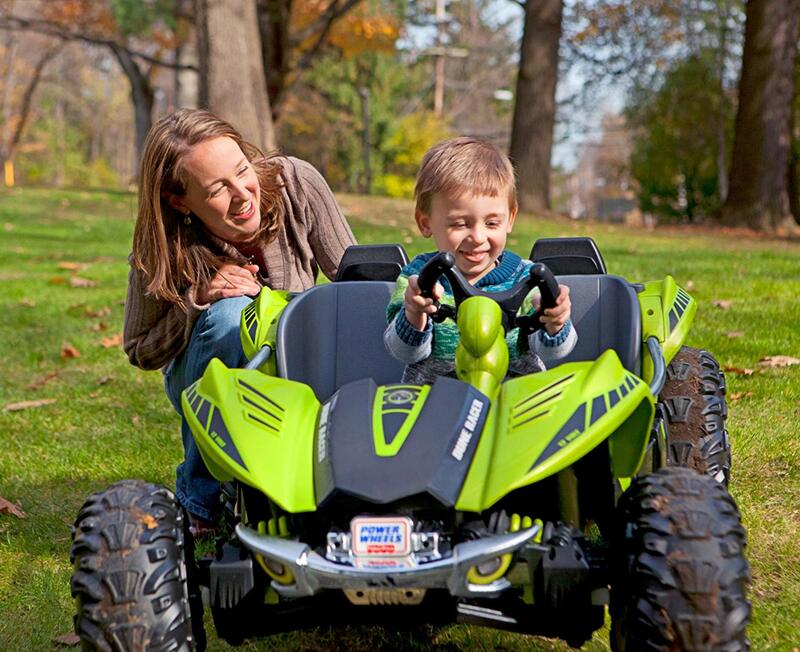 For the ultimate outdoor racing fun, the Power Wheels Dune Racer is built to impress with its steel frame and chrome accent. It features Monster traction system enabling smooth operation on hard, wet or rough terrain. It also boasts of power lock brake system, and awesome maneuvering in reverse and forward mode. When in rough terrain, the metal sidebars offer adequate hand support. Want it in lava red, earthy green or stylish pink-and-purple? Click HERE. Give a child the gift of a lifetime with any of the best electric cars for toddlers above. Aside from the pure enjoyment of learning how to maneuver a car, it also helps develop socio-emotional skills and confidence in children leading them to become healthy adults. So, what are you waiting for? Buy one now and let a child ride to a bright future ahead.